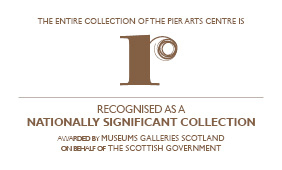 Museums Galleries Scotland ‘Skills for Success’ Trainee Daniel Groundwater takes us through his first month at the Pier Arts Centre. 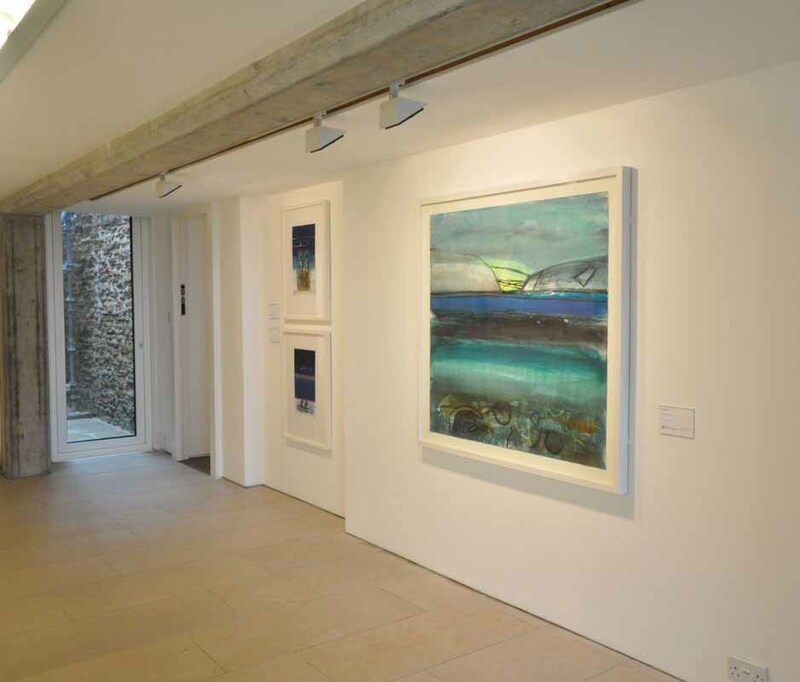 September at the Pier Arts Centre began in the Brenda Robertson Room on the first floor, a small room adorned with artworks by the likes of Bet Low and Stanley Cursiter. I was then greeted by a sculpture of George Mackay Brown whose bust was sitting in the window with the cobbled streets he knew so well as a back drop. The Centre’s Education Officer Carol Dunbar then went over some paperwork with me and got me settled in. The first exhibition I worked on was called ‘Magic!’ which was a collection of artworks that were made by various 3 and 4 year olds from around Orkney’s preschools. We put the various pieces on plinths which we dotted around the room and on the walls. After a bit of deliberation we came up with an idea of how we liked them. One of the most important things I learned was not to take the pieces for granted. Whether the piece is worth £1 or £100,000 – you always handle the artworks with the same amount of care and devotion. 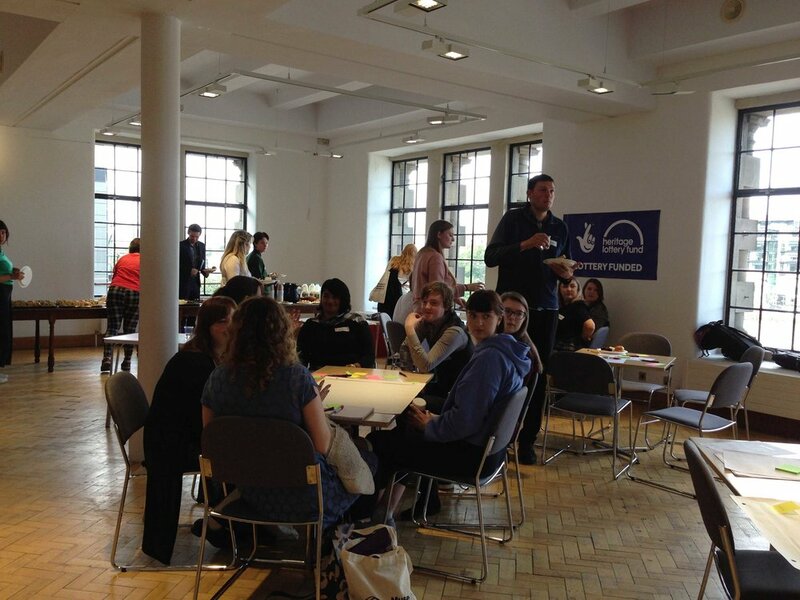 Later on in the month I went down to the Edinburgh City Art Centre for the monthly Museums Galleries Scotland (MGS) Trainee meetup where we were greeted by Markus our MGS Education Officer. We all exchanged emails and got down to talking about our individual experiences – which we all agreed were proceeding very successfully. After that Markus introduced two guest speakers, a woman took to the floor first and told us of how she had been a candidate on the same course as we are undertaking and told of how it had benefited her life and in fact kick-started her career in the museum sector. She spoke of her dislike for the word ‘Just’. She didn’t want to hear the words “I’m just a trainee” or “I don’t have a degree, therefor I’ll just have to aspire to the lowly positions of a museum or gallery”. Next the man spoke – he had spotted an opportunity in 2015 for a traineeship with MGS in Dundee on the RRS Discovery for which he decided to apply and got picked out of all of the candidates even though he had no experience in that field. He was put in charge of touring kids around and educating them. He was then made Education Officer after the previous one was promoted – this placed the care of a total of some 7200 children in his hands. After the speakers had finished the supervisors and trainees were split up and made to do and activity titled a fear, a hope and a solution whereby we would write down our hopes and fears for our traineeship and the other team would then swap over and give you solutions to the fears. After the activity we had a short speech from Markus and said our goodbyes to each other. The day was very good and it taught me a lot about the course I will be doing and what to expect along the way. I think it is going to be a very important step in my working life and I look forward to meeting my mentor and endeavouring into the heart of the gallery and course. Back at the Pier Arts Centre, on the 14th of September the Curator gathered the exhibition team to await the arrival of the courier who was delivering work by Barbara Rae CBE RA RSA for the Northwest Passage exhibition. The Northwest Passage is a series of paintings by Barbara Rae as she follows the footsteps of her namesake, the explorer John Rae. The exhibition, originated by the Royal Scottish Academy and in collaboration with the Royal Academy. We took the pieces inside and got them prepared for the week’s installation by cataloguing them and laying them around the gallery. This day’s work was very important of me as it gave me a detailed insight into the process of beginning to install an exhibition for display and helped me to understand the responsibilities given to each member of the team. The next day we started figuring out what we wanted to do in the gallery and played around with the layout of the exhibition, we also erected a display case for John Rae’s snow shoes. After a bit of negotiation we finally got a pattern of paintings with a nice change of scale throughout, deciding that the biggest painting should feature on the wall as you come in to the double height gallery. After receiving the go ahead from the Curator at the Pier Arts Centre, we began to hang the pieces. We hung all of the pieces throughout the gallery with help from an exhibition volunteer and tidied up after we had finished. Later on we decided that the painting of John Rae’s childhood home should greet you as you first enter the corridor and so we swapped it for two other paintings that were in the corridor. This month really has been a blast for me! The intensity, the puzzle solving and all of the processes involved with unboxing, arranging and hanging an exhibition really gripped me and left a lasting impression on me. Keep an eye on our website for further blogs by Daniel as his traineeship progresses! Newer:Voice and Vision: The Poetry and Art of W.S. Graham By David Nowell Smith Older:‘TO REPEAT THIS CIRCLE’ Rediscovering Margaret Tait at 100: Sarah Neely reports on three important exhibitions.